The state machinery’s face-saving measures during Simhastha saw Kshipra river carrying more muck in her than ever. While the river yearns for revival, the government seems keen on interlinking rivers. 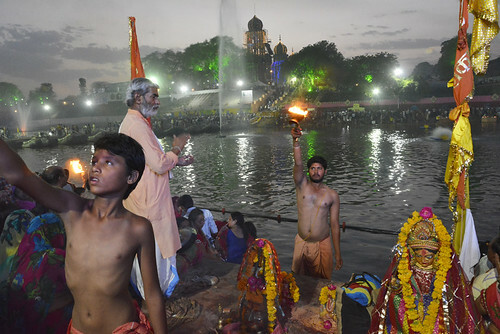 The Madhya Simhastha Maha Kumbh festival, the religious extravaganza that happens once in every 12 years, was held in Ujjain from April 22-May 21, 2016. This year around, the cost to conduct the festival escalated to Rs 5000 crores; more than 15 times the cost incurred for the previous Simhastha held in 2004. In the year 2014-15, the water of the Kshipra river, where Simhastha is held, was contaminated with sewage and industrial waste and was not even fit for bathing. Kshipra is contaminated through multiple sources. There are around 11 drainage channels in Ujjain from where the sewage water enters Kshipra. The Kshipra water is also contaminated by the water from the Khan river that flows from Indore and joins Kshipra. More than 90 percent of the Indore’s untreated sewage and industrial effluents flow through Khan. This water is the main source of Kshipra’s pollution. The contaminated water has affected the river to such an extent that more than 90 percent of the fish in the river has died. 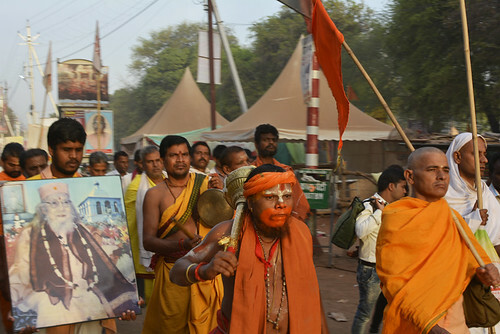 The arrival of Simhastha this year and the need to provide clean water for the month-long religious extravaganza proved a major challenge for the Madhya Pradesh government. The government undertook many faulty measures to save its face. To start with, the government implemented the Khan diversion project to avoid further contamination of Kshipra. Instead of cleaning and rejuvenating the original Kshipra river, the government decided to spend more than Rs 430 crores on Narmada Kshipra Link Project and pumped Narmada water into Kshipra from its source near Indore to provide clean water for Simhastha. “The way to revive Kshipra is to recharge upstream aquifers in the Kshipra basin and not linking Narmada with Kshipra. The Narmada Kshipra Link Project is not just to provide water for Simhastha. The larger objective is to provide water to the industries,” says Stockholm Water Prize winner, Rajendra Singh. The government gave contracts to private companies to inject purifying oxygen into the Narmada’s reconstituted water in Ujjain and laid 1180-meter-long sewer line to divert the sewage from entering Kshipra. More than 810 million litres of Narmada’s water was pumped into Kshipra during Simhastha, which includes 161 million litres for drinking. The cost of Narmada’s water is more than Rs 50 per kilo litre (KL). An average of 27 million litres of water per day is needed for the religious act of royal bath or shahi snan. Private companies were deployed to construct 46,000 toilets and installing 970 RO water units in the Simhastha area. Most of the infrastructure works were handed over to the private companies and the quality of work was not even checked properly. “After a storm on May 6, the temporary toilets were uprooted, sewage pipelines broke and the sewage water got mixed into Kshipra,” says Ravi Shrivastav, a resident of Ujjain. But these face-saving measures did not really serve the real purpose. 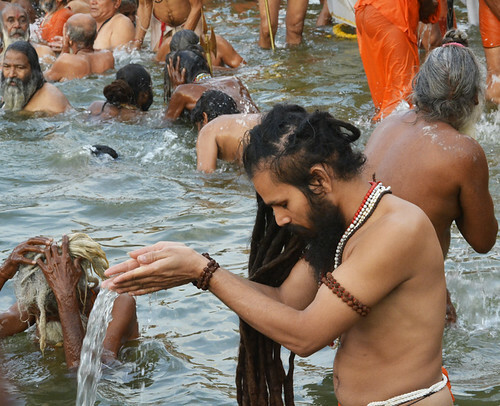 The Hindu belief has it that the holy dip in Kshipra during Simhastha has the capacity to purify the human mind and soul. 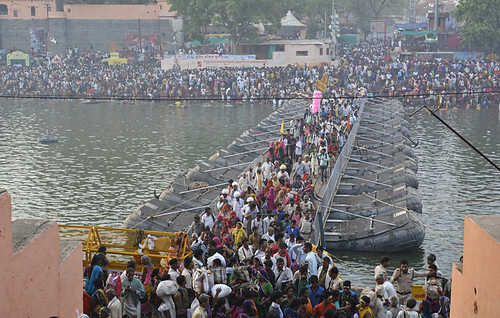 But during Simhastha, it was in Narmada’s water that the pilgrims took the holy dip. 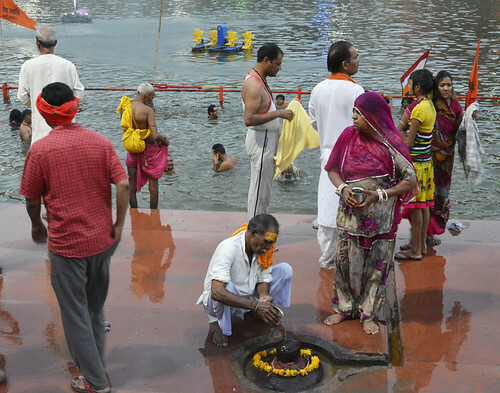 During Simhastha, 5000 litres of water from Narmada was pumped in every second to clear the water of Kshipra to ensure clean water for the festival. The tributaries of Kshipra were blocked or diverted, fearing sewage contamination. The Simhastha gaffe apart, the Khan river diversion project and the Narmada Kshipra Link Project have been a bone of contention between the government and the conservationists. In December 2014, the Madhya Pradesh high court issued show cause notices to the union and the state water resource ministries and the various departments to explain the irregularities pointed out in the public interest litigation (PIL) filed by Satyanarayana Purohit against diverting the Khan river and linking it to Kshipra in Ujjain. The PIL pointed out that the Khan river diversion project that cost Rs 2,719 crore violates the Constitutional Right of Property (under article 300A) of more than 100 farmers, 10,000 slum dwellers and would affect about 50 hectares of private arable land and 50 hectares of government land. During Simhastha, the livelihood of most of the farmers in the Narmada valley has affected and the farmers were not even compensated. The study conducted by South Asian Network on Dams, Rivers and People (SANDRP) reveals that about 4 lakh litres of polluted water is entering the Kshipra river from Dewas city and the industries there, affecting not just the villages of Ujjain, Dewas and Indore, but the Hirli dam and the groundwater also. The Madhya Pradesh government has completely failed to curb the illegal dumping of polluted water. Now pouring this pipeline water to the polluted Kshipra water would only mean more pollution. To the larger population, it may seem like the government is taking measures to rectify this. But it gave contract to Purab logistic, a Gurgaon based private company to purify Kshipra’s water. 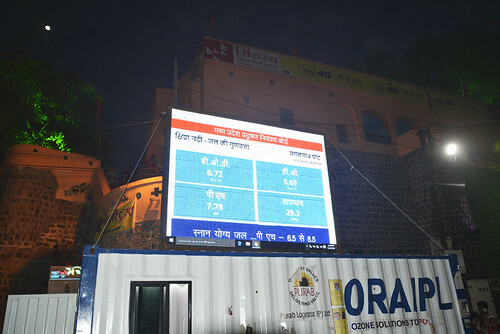 The company artificially inserted oxygen into the water and installed five electronic display boards on the main ghats to fool people into believing that they are maintaining the prescribed water quality norms set by the government for Kshipra. The display board showed that Kshipra’s water is fit for bathing and drinking but there has not been any study done or evidence collected to prove this claim. The primary objective of Narmada Kshipra Link Project, according to the government, was to provide water to Simhastha. But the senior researchers of Manthan Adhyayan Kendra, a research centre in MP on water, and SANDRP argue that the hidden objective of the project is to provide water to Pithampur industrial area near Indore after Simhastha. 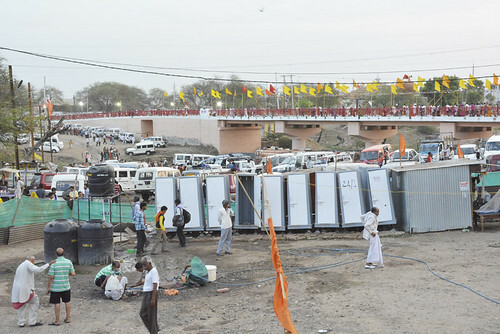 The Madhya Pradesh government claimed that bringing Narmada to Ujjain would solve the water woes of Ujjain. Similar claims were made by the government in the past about supplying Narmada’s water to Dewas. The Dewas industrial water supply project claimed to provide Narmada water to industries in Dewas and enroute villages. But even after the implementation of the Dewas industrial water supply project, the water woes of Dewas failed to be solved. Instead, it only helped the industries in the area to procure water and prosper. In terms of water scarcity and drought, this year has been the worst for the country. Under such circumstances, reviving rivers should be the first priority of any government. But, instead of taking a scientific approach in reviving rivers, the government is more interested in the interlinking of the rivers that is not cost effective. Following photographs will provide a glimpse to Simhastha.